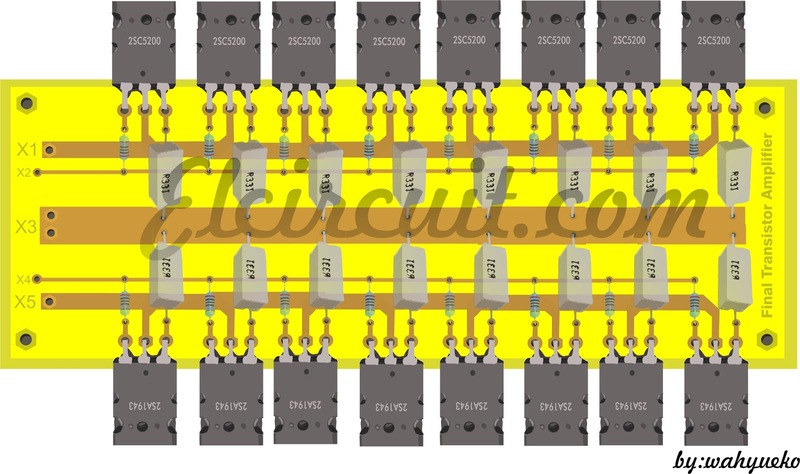 The circuit of booster amplifiers or amplifier end of a power amplifier circuit, Circuit over in the most important influence whether or not , and many more are affected in this final amplifier circuit. Because the booster circuit is the amplifier end of the work was too heavy components causing the rapid component of the heat. If you are wrong when install the components, that can cause fatal damaged the component , such us the installation of pin emiter, collector , and base everything must be correct. 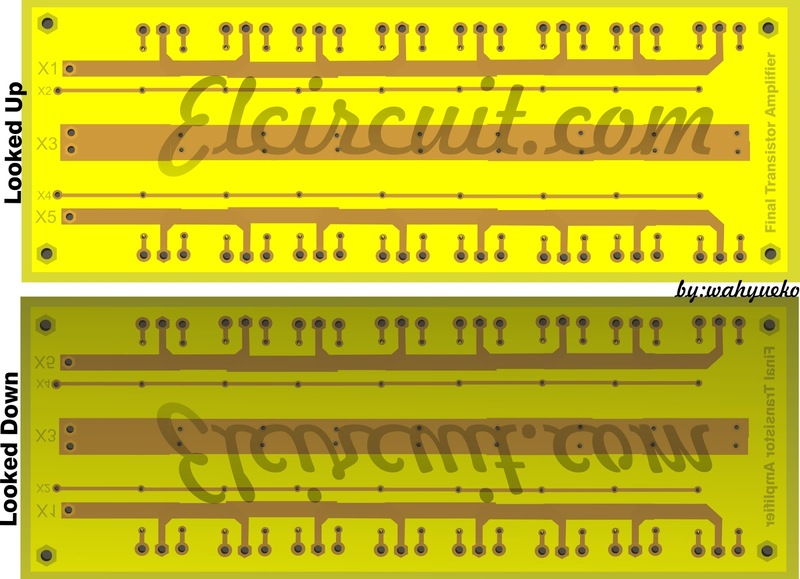 In the circuit above can strengthen booster amplifier with maximum work and everything is evenly split, what is it evenly split ? 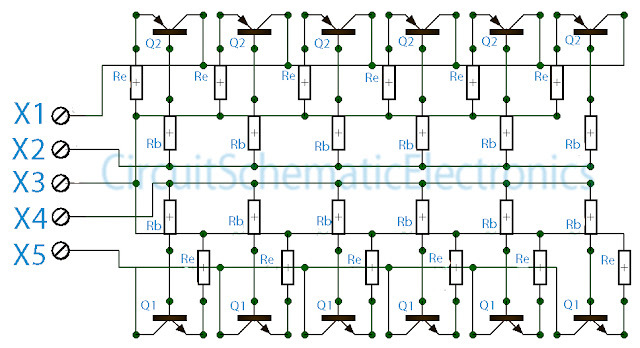 evenly split the point here is that all components can work with the same voltage and the heat evenly , this is because at each respetive base transistor were given the same constrains and same wattage resistor. 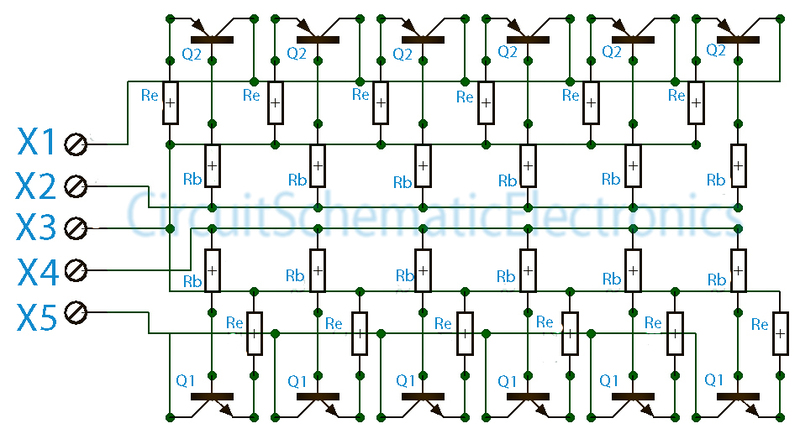 And to maintain if the power output is too large then the resistor on Re will hamper so that the transistor is not easily broken. 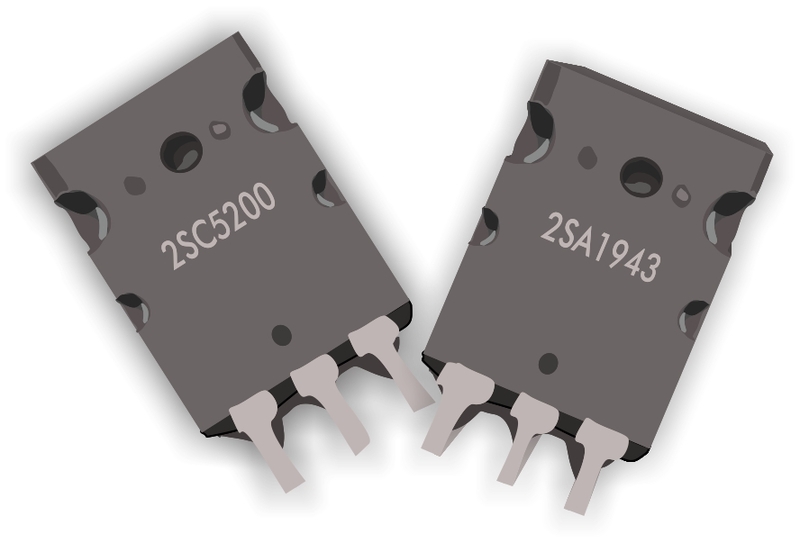 Q1=Transistor power NPN such us 2N3055 , TIP3055,TIP120,TIP142,2SC2922 , 2SC5200 , etc. Q2=Transistor Power PNP such us MJ2955 ,TIP2955,TIP125,TIP147,2SA1216, 2SA1943 , etc. Thanks sir! Perfect layout schematic diagram very nice! Thanks for your visit and hope you enjoy surfing in here. 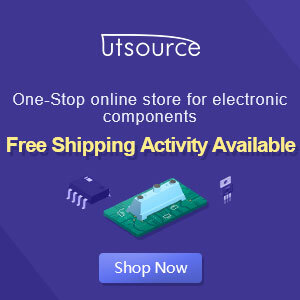 in elcircuit dot com. Its same as voltage power amplifier. For example you make 1600W the power supply voltage from 60 up to 100V dc, so the voltage of booster tramsistor is sam 60 upto 100V DC. HOPE YOU ENJOY in elcircuit. Youre welcome, dont be hesitate to ask with me, may i can help you. u're wellcome, Hope u enjoy in here sir. nice design,,, but where can i input and its output for speaker,, is it ok to have no driver/?